Motorola comes to mind when speaking of Two-Way radios. We have produced a Dual Radio rack mount for a couple of Motorola radio series. 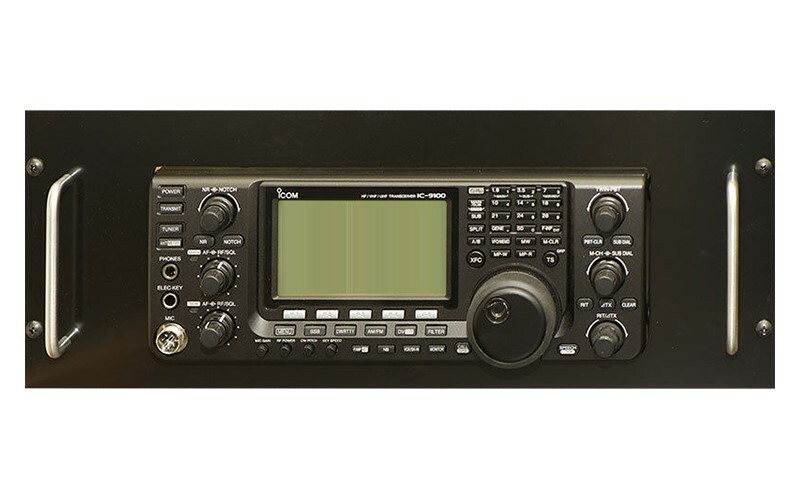 Our RMMOT2U2max is very popular, mounting two radio in a 2U (3.5”) rack panel, used in many repeaters. The radio size is 7”W by 2.00”H and is one of the most used sizes used by Motorola. A short list of known radios (there must be more) are Maxtrac, GM300, Spectra, XTL, M120 and Astro. Check the radio body size of the radio you have a see how close it is to 7W x 2H inches. In the case of the XTL, the radio body is 7x2 but the control head is larger, the XTL series radio slide in from the front up to the control head. Recently we found a Kenwood TK 690/790/890 series is 7”W by 2.25”H, so we can simply modify our production panel to fit these radios. Be sure to let us know your interest. There may be other radios out there that we have not run across, just waiting for someone to offer a rack mount. We recently produced an interesting rack mount. Our customer had a 100W Motorola mobile radio that needed to be rack mounted with a power supply. The Astron SS-30 or SS-25 supply is just the right height to mount on top of the rack tray and still be only 2U (3.5”H). The supply power on/off switch was reachable through the front panel.